Sports performance, as every serious sportsperson knows, is as much about what’s going on in your head as what’s going on in your body. We’ve all seen top-notch golfers lose their game for years on end, or sprinters lose those critical hundredths of a second that make the difference at the finishing line, due to a seemingly insuperable anxiety about the outcome. Sports hypnosis sessions will help you fine tune your game so that, whatever field of sports you engage in, you get the very best from yourself, physically, mentally, emotionally. You’ll learn how to cultivate – and maintain – the attitudes and determination that take you to the next level. 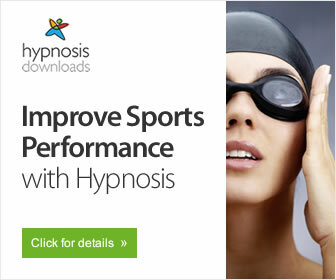 For those of you not able to make it into our office for a personal session, Hypnosis Downloads offers some great sports performance hypnosis downloads that are solidly based on the latest psychological research into what distinguishes the top performers from the rest, and how you get that edge. And after all, as a sportsperson you spend long enough training your body – why not spend a little on your brain? Previous Post: STRESSED OUT! Hypnosis can help!